If you’re a fan of Formula 1, and you’ve kept up with the season so far, you know just as well as anyone; it’s been a vintage year. 7 different winners in the first seven races, six former world champions on the grid, twenty races, some absolutely gripping battles, and one brand sparking new track in Austin, Texas. F1 has had a fairly up-and-down past in the United States, with nary a permanent facility to call home (short of Watkins Glen), but that’s all changed with the construction of the circuit of the americas. If it proves to be a success, F1 could have a truly permanent home in the US for the foreseeable future. I desperately wanted to go to a Grand Prix at Indianapolis, but it was never in the cards. With the COtA announcement, I just couldn’t pass it up, even if it meant missing the just-as-epic SKUSA Supernationals scheduled for that same weekend. 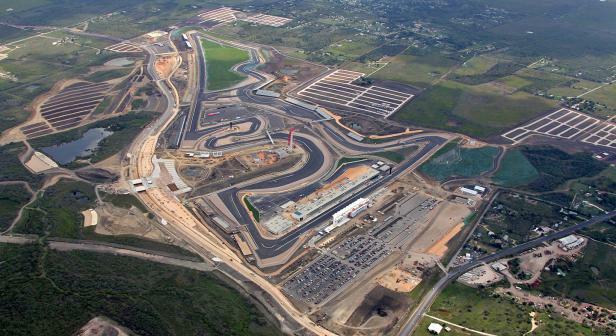 Sorry SKUSA, but it’s my duty as a red-blooded racing fan to make the pilgrimage to Austin – not Las Vegas – this year. It’s going to be amazing. The championship is on the line, Vettel could win it in Texas, or Alonso could take the fight to the finale in Brazil. The track looks spectacular, one of the best new tracks built in the last decade no doubt. And best of all, the whole f1 community is buzzing about the event. F1 in the US is back baby, and it’s back Texas style-BIG. I’m shoving off from Denver on Thursday for the long (16hr) drive, and I’ll be there for every session, plus some of the on and off track fun. I’m going to try and update with words and pictures every night on the shuttle home…so watch this space!